With almost zero learning curve, DivineCloud is the simplest as well as powerful operations management tool available today. No agent installation needed, no dedicated instance for the management product, and no more copying of private key files to a separate instance and no compromise on security. 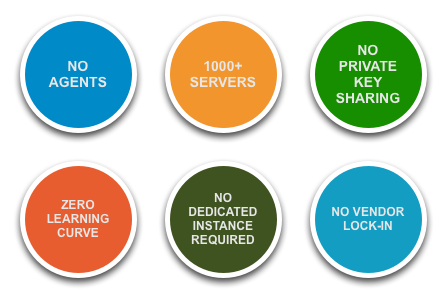 Executing commands and deploying applications across 10 or 1000 servers, is no different, with DivineCloud. Simple, Secure and Powerful are the 3 key traits of DivineCloud. Any repetitive operational procedure can be defined as RunBook using Divine Cloud, allowing companies to standardize their operational procedure and automate the daily execution of the run-book there by reducing errors and increasing the overall visibility and audit ability of the operational process. 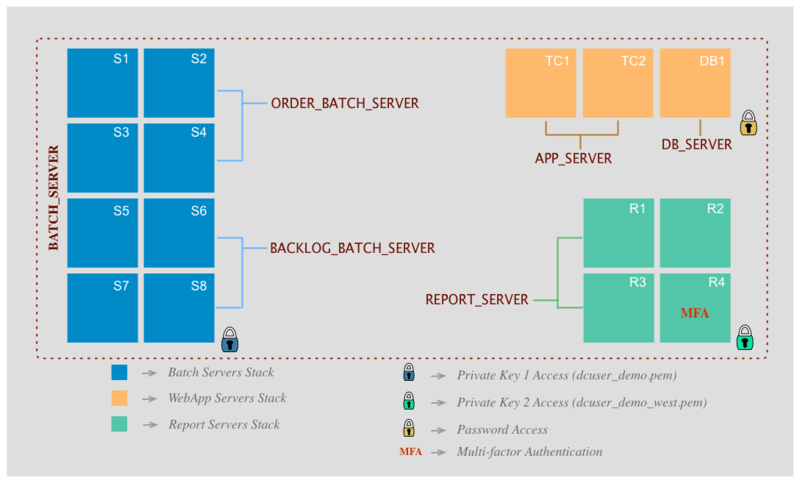 The RunBook once defined can be version controlled using the DevOps favorite version control system, there by providing central repository for storing all the system management code base. RunBook once defined can be executed on servers located across any place, including private data centers and/or public clouds like AWS, Digital Ocean, Google, Linode, RackSpace, Joyent, etc. 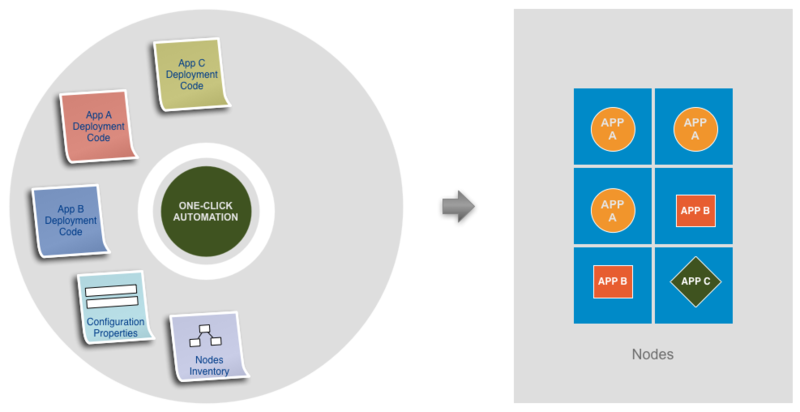 One-click automation serves up application stacks with push-button provisioning and deployment. Developers expect a quick, pre-approved, self-service access to application stacks and services. Divine Cloud One-Click automation provides, DevOps team, the ability to define standard services, allow various levels of customization, and automate the overall provisioning, configuration, and deployment process. Provisioning servers & deploying the complete application stack on-demand with just one-click. Collecting log files across 100s of servers, aggregating the records & generating report on-demand with just one-click. Perform On-demand health check of 1000s of infrastructure components with one-click. The need for orchestration in complex IT environments is not new. Additionally, Today’s IT brings need for even more complex deployments and complex challenges. With DivineCloud RunBook Orchestration you define your infrastructure only once, and use it wherever and however you need. There are total 15 Nodes in the above infrastructure example, that are to be used for installing all the above 5 services. Using DivineCloud RunBook Orchestration, DevOps can define the complete infrastructure setup in single RunBook. Once the RunBook is defined, DevOps can execute that RunBook with just single click and set up the whole infrastructure repeatedly in any cloud or private data center as needed. Continuous Delivery extends the Continuous integration methodology to full delivery of the software to the production environment. It is all about breaking down the barriers that stop organizations from effectively delivering working software to the business on time. Continuous Delivery provides direct visibility into applications installed in any target server environment. It provides real-time progress for each step of the deploy process. Operators are able to see exactly what step their process is executing and look back on details of previous steps (success, failure, skip, etc). This allows releases to accurately reflect the business processes required to promote application to any environments. 1. The continuous Integration Server builds all the applications A,B, & C.
3. The Divine Cloud (Server / CLI) executes the deployment run-book and installs and configures the applications A, B, & C on respective servers.